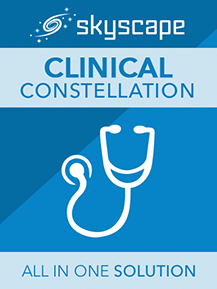 5-Minute Clinical Consult: Provides rapid-access in a quick-reference format on the diagnosis, treatment, medications, follow-up, and associated conditions of more than 880+ medical conditions. Bakerman's ABC's of Interpretive Laboratory Data: Fast, accurate lab data interpretation. Bakerman's ABC's of Interpretive Laboratory Data covers hundreds of common and uncommon laboratory tests, including topics such as specimen, reference range and interpretation. Skyscape support person was very prompt and helpful. As always, I am very satisfied with both my Skyscape product and with the companies outstanding customer support.